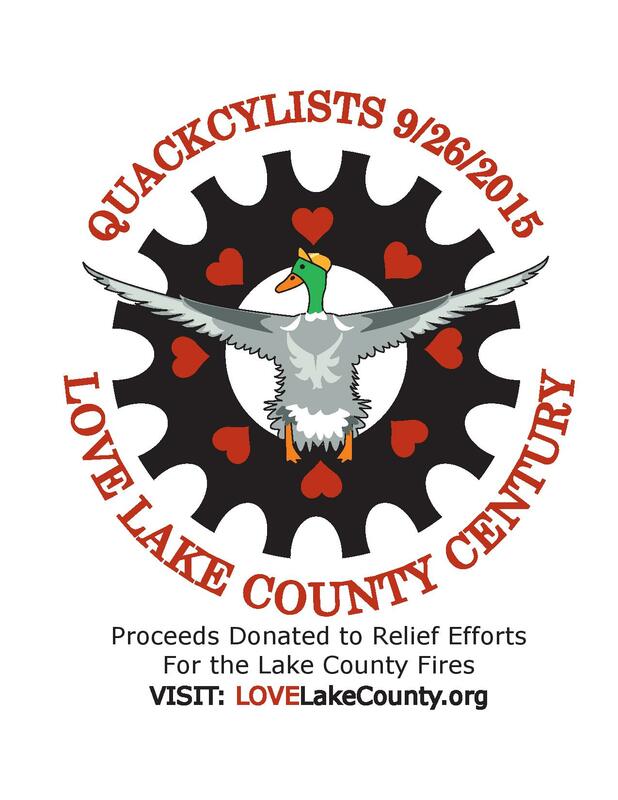 The Quackcyclists would like to invite you to participate in a very special event scheduled for Saturday, the 26th of September, 2015, to benefit the victims of the Lake County fires. This is an endurance ride, not a race, not a timed event. Ride your bike with friends, take in the scenery. Just finish. Make a difference. On Saturday, September 12th, 2015, at 1:24 PM, the "Valley" fire started in the town of Loch Lomond. This fire grew at an almost unprecedented rate and very quickly covered over 60,000 acres. As of this Friday, September 18th, at 8:00 AM, it had stretched to 73,700 acres and still was only 40% contained. To that point in time, over 585 homes and 100's of other structures had been destroyed. I believe that somewhat miraculously there are only three known fatalities, although of course even one is too many. To put the size of the fire in perspective, 73,700 acres is roughly equivalent to 115 square miles. Currently, approximately 30 miles of our normal course is within the fire zone. In addition, there were two other large fires, the "Rocky" and "Jerusalem", in mid-August that together burned almost another 95,000 acres, and through which roughly 25 miles of our course passes. The devastation is truly unbelievable. The current fire approached Middletown so quickly that many could only run for their lives and took nothing with them but the clothes on their back. Entire city blocks were completely decimated. Anyone that has ridden either the Davis Double or the Knoxville Double would know these areas well, as only a cyclist can. My guess is that much would be completely unrecognizable at this point. All week we have been watching these events unfold. I have received countless emails from concerned riders and others. A big thanks to all who have been so supportive. I think many double riders have a very can-do attitude. Most would not be able to continue riding these events without it. I admit that my initial response, and that of many that contacted me, was to figure out how to "make this work". However, as time progressed it became very evident that that was exactly the wrong thing to do. We are therefore cancelling the double century. Our hearts and minds turned to those who have lost so much; many have lost virtually everything -- a lifetime gone in a moment. Was there something we could do to give back to this place that has such wonderful memories within us? Our next thought was to see if we could arrange a work-party to go up there for the weekend and help. Aside from the fact that it is almost impossible to get there currently, we quickly came to the conclusion that at least at this time we would most likely be a hindrance and in the way rather than a help. The next thought was to convert our event into one where hopefully together we could raise a significant amount of money to contribute to the relief fund. And thus, the Love Lake County Century was born. Our hope and prayer is that you will come and bring others with you as well. I believe that together we can make a difference. What follows are words that our fearless California Triple Crown leader, Chuck Bramwell, put down regarding the Love Lake County Century. “We all have to make difficult decisions in life. Some are good. Some are better. Some are BEST. We HIGHLY encourage you to ride the Love Lake County Century on 9/26/15. We believe it is the BEST decision you can make for your ride plans on that day. You will then have the satisfaction of not only riding a good part of the beautiful Knoxville Fall Classic course but more importantly you’ll be helping the fire victims who have lost so much in Cobb Mountain, Loch Lomond, Middletown and the surrounding areas. We also need your support at the California Triple Crown Awards Dinner that will follow the Century on 9/26 to recognize the Stage Race Winners, the Hall of Fame Inductees, the 100 Double Century Inductees, and the 150 Double Century Inductees. The California Triple Crown has considered making an exception and giving California Triple Crown credit for the Finishers of the Love Lake County Century. Never before has a fire destroyed the core 50 Miles of not just one Double Century but also another Double Century in the California Triple Crown series. Never before has a CTC Organizer organized a shortened course to raise funds for the victims of such a horrible disaster and we HIGHLY applaud that. The problem is that the California Triple Crown has always been about recognizing riders who complete 200 Miles in One Day. To make an exception, as much as we would like to do, would be precedent setting and could undermine the credibility of the California Triple Crown. So we have decided that riders will not get California Triple Crown credit for completing the Love Lake County Century. However, some things are more important than California Triple Crown Credit!! This is one of those times we need to reach out and help people who live in the core pieces of the Knoxville Fall Classic Double as well as the Davis Double. The California Triple Crown will recognize the finishers of the Love Lake County Century by sending out an e-mail to the entire California Triple Crown E-mail List showcasing those riders who complete the Love Lake County Century. The finishers will also be recognized on the California Triple Crown Facebook page. www.CalTripleCrown.com will recognize those Finishers on the Home Page and on the Schedule Page. We will HIGHLY applaud and recognize those riders who are reaching out to help the fire victims … by simply riding their bikes!! I am so grateful to Chuck for his vision and leadership. To my knowledge, there is nothing in the world to compare with what we have in the California Triple Crown. 1. What is our primary goal? To make a significant contribution to the people of Lake County affected by the fire. 2. What course does the ride follow and how long is it? Starting at Pena Adobe Park in Vacaville, CA, we will initially follow the normal Knoxville double century course, with the exception that Oakville Cross Rd is currently closed due to a bridge reconstruction. As such we will U-Turn at rest stop #1 and head back to Silverado Trail where we will continue north. Upon reaching the junction of 128 and Silverado Trail, you will have a decision to make. If you choose the "Lowland" option, you will turn right on 128, follow 128 for 3.8 miles (this is the only part of the day not on the regular course) until you bear left at the junction with Chiles Pope Valley. Just 1.3 miles up on the left you will find Moore Creek Park, our lunch stop for the day. If you choose the "Highland" option, you will continue on the normal course up and over Howell Mountain and down into Pope Valley, at which point you will be back of the normal Knoxville course. In about 11 more miles you will find the lunch stop at Moore Creek Park on your right. I will add that we may decide to not even run the "Highland" course. There are some areas not too far north of there that are being affected by the fire and there could be a number of reasons for not going that way. The "Lowland" route is 90 miles and I would estimate at under 4,300 feet of climbing. The "Highland" is 110 miles and would likely be closer to 6,400 feet of climbing. 3. How many rest stops will there be? Three, all normal stops on our standard course. #1 is at mile 36.5 at the Napa River Ecological Reserve; #2 (Lunch) is at 67.4 - Highland / 48.0 - Lowland; #3 is at the old Pardehsa store location on the corner of Pleasant's Valley and 128 at mile 96.3 - Highland / 76.9 - Lowland. 4. What types of items will I find at the rest stops? This was a hard one. As Quackcyclists we normally strive to provide the ultimate in choice and quality at our rest stops. However, in an effort to simplify the execution of the ride and also attempt to preserve as much of the entry fee as possible for Lake County, we have decided to go with a very simplified approach. At rest stops #1 & #3 we are planning to have water, soda, energy bars, a limited amount of Hammer products, Gatorade, Jesse's potatoes, and perhaps a few other items. Lunch will likely be Subway sandwiches, chips, soda, water, and perhaps a few other things. 5. What hours is the course open? The course will open at 5:00 AM and close at 4:30 PM. This should be plenty of time for all to finish their desired course. 6. What about the CTC Awards "Breakfast"? This year it will be the CTC Awards "Dinner" starting at 5:00 PM on Saturday. We debated whether we should prepare our own food like we do for the breakfast as it is generally much less expensive. There were two major factors influencing our decision to go with our normal Knoxville caterer, Pietro's #1 of Vacaville. The first was that we knew that everyone would likely be very hungry by that point in the day. The second was that in the spirit of what we are doing Pietro's agreed to provide the food at a much-reduced cost from the regular price. I think most would agree that we can look forward to an excellent meal. All participants and volunteers are invited to attend the dinner. You can also invite friends and family, but please let me know so that we can have enough food. There would be an extra fee of $12 per person to cover the cost for those not participating in the ride. 7. What about a T-Shirt? I personally really like to have mementos related to significant events in my life. My wife asks me occasionally, "How many jerseys does one person need?" (I'll let you answer that.) I believe and hope this will be one of those touchstone experiences, at least for me. Becky Berka, the fabulous Quack Jersey designer, has agreed to provide the artwork (which I just saw the first draft of a few minutes ago and it's awesome). The artwork can be seen at the top of this web page. Our T-Shirt guy is giving us a good price, especially considering the short time-frame involved. We really wanted all participants that so desire to be able take away something tangible to remember this day by. The cost would be $10 and you can indicate your size preference on the Entry Form. Please sign up as early as possible as I need to order the shirts soon. 8. Can others sign up? How and when? Typically we close registration the Monday before the ride. We really want to have as many riders as can, come and thus are extending the deadline to Thursday at 6:00 PM. There is an online registration form available at Love Lake County Century Registration. Those signing up through this method would need to pay the $95 entry fee and sign a waiver when they check in. 9. What about staff? We currently have roughly 70 volunteers signed up, ready, and willing to help. With the simplified format and reduced distance, we actually probably need maybe a third of that number. I would encourage those that would like to, to sign up for and ride the public event. We obviously do need some volunteers so just let me know what your thoughts are and we'll work it out. We will likely have a staff ride on this same course either the last half of October or first half of November, but I don't know the date yet and of course the weather can be much more suspect as the year progresses. 10. What can you do? Tell your friends. Post on blogs and on Facebook. Get the word out. All things considered, we would probably have difficulty with the logistics with over 300 riders, but as of now there are under 120, so we certainly have room to grow the event and make even more of a difference. 11. What if I don't want to ride? Our official policy is no refunds or exchanges, however, given the circumstances, I am willing to make an exception. The situation is very emotional for many, myself included, and I would certainly desire to ease someone's burden if at all possible. 12. What else can I do to help? www.lovelakecounty.org seems to be an excellent resource of opportunities. 13. Where will the money go? As of now, we are planning on giving it to the Redwood Credit Union fire fund. It's hard to know with these types of things, but they have stated that 100% of the funds will go to help victims of the fires. 14. What do I need to do? Sign up now at Love Lake County Century Registration. We will automatically roll your entry fee from your Knoxville entry. It should only take you 5 minutes! Plus you can indicate your shirt size (if you want one) and if you are bringing extra people to the dinner. All riders must be pre-registered. Registration will close Thursday evening, September 24th, at 6:00 PM. No day-of-event registrations. No rider exchanges, each entry is only good to the person registered. Proof of identity may be required. Entry fee: $95. Please sign up early! The ride will start & finish at Vacaville’s Pena Adobe Park. It’s right off I-80, just west of Vacaville. We ride north thru Fairfield, over Mt. George, up the Napa Valley, over Howell Mtn (Highland), through the southern portion of Pope Valley (Highland), up Sage Canyon, along Lake Berryessa, then finally down Pleasants Valley. First light: (when you won’t need lights on your bike) about 6:30. Riders have until 4:30 PM to complete the course. The Highland Century is 109.7 miles. Total climbing is approximately 5,000 ft. Almost two-thirds of the climbing is before lunch. Most climbing is under 10%, but the climb up Howell Mountain is fairly long. The Lowland Century is approximately 3,000 ft. The entire course, with the exception of 3.8 miles on the Lowland course, is directly from our Knoxville Fall Classic Double Century course. This is not the easiest (ie. flattest) century out there, but most fit cyclists would be able to complete the course, particularly the Lowland course within the time allotted. We are really proud of the support we offer, and work very hard to do most everything for you, except pedal your bike. There will be 3 rest stops as well as roving SAG. Lunch will be served at rest stop #2. There will be a catered dinner at the finish. Bottled water (not hose water), and hopefully adequate food. We are trying to take a simpler approach with this ride in order to preserve as much of the entry fee as possible for the fire victims. All riders will have a route sheet. We are no longer able to mark the course as we have for many years. There may be some marking remnants from previous years, but please use your route sheet. We will have at least 4 experienced, dedicated SAG drivers on course. Well, it’s early fall, so we can get, (and have) the gauntlet. Perfect weather, rain, or hottr’ than stink. We are personally hoping for perfect, . . . but . . . The last couple of years have seen moderately hot afternoons (depending on who's doing the talking). We do our best to get ice & plenty of water out there, but every rider needs to be smart for any conditions. You will need legal lights if you start before 6:30 AM. Due to conditions of approval for the ride, any rider on the course before 6:30 a.m. must have a full complement of front & rear lighting, as required by the California Vehicle Code. If you do not, you will be disqualified. The Love Lake County Century will NOT count toward the California Triple Crown. The California Triple Crown’s Award Breakfast, which has been held Sunday morning following Knoxville for many years, will be the Triple Crown Award Dinner this year commencing at 5:00 PM and concluding by 7:00 PM. The meal will be catered by Pietro's #1 of Vacaville. They do an absolutely fantastic job. Your entry fee includes your meal. If you would like to invite family or friends, which we highly encourage, there will be a $12/person charge. Please indicate on the entry form how many are coming so that we can order sufficient food. This a great chance to hear stories, swap lies, and recognize some truly extraordinary riders. There are riders this year that will be inducted into the Hall Of Fame for completing 50, 100, and even 150 doubles. Because of the last minute changes, registration will be on the web for the first time in Quack history. I hope it works;) For anyone that signed up already for Knoxville this year, we will roll your entry fee, but still need to you sign up at Entry Form so that we can get you a T-Shirt if you want one and also order the right amount of food for the dinner. For those initially signing up now, bring a check to check-in and we'll have the waiver there for you to sign. Once we receive your registration information, we will send you an e-mail confirming we have you registered. We will attempt to turn around registrations at least daily. You will be sent a link to a web-page that contains “Instructions to Riders & Rules of the Ride”. It contains exactly that, as complete as we can make it. Hopefully it will cover all your questions, and give tips about the ride, a more thorough course description, and make clear the few “gotcha’s” we do have. Please read it carefully. We will also post on the web a List of Registered Riders as we receive them. If you don’t get an e-mail confirmation and don’t see your name on the list, please contact us. Quackcyclists are not a club. We have no dues, no membership rolls, no formal meetings. We are just a group of friends & cyclists who somehow got this crazy notion to put on a couple of bike rides. (Just riding double centuries wasn’t good enough) We are not formally “non-profit”, but we don’t make any, and none of us gets paid. (We all have regular jobs for that.) The entry fee covers the ride’s expenses, and for this ride, all net-profits will be donated to Lake County fire victims. Our volunteers & workers on the rides are our friends, folks we’ve met riding, and their friends & family. We have always managed to pull it off, and most folks have a great time (sometimes better than the riders) helping out. Pietro’s #1 is our local recommendation. 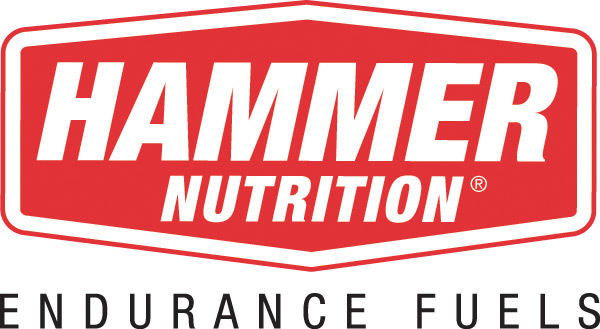 They cater the after-ride meal, and the owners Joe & Kathy Murdaca are two of our favorite all-time people. It’s a guaranteed fill-up of fantastic and classic southern Italian fare. Located at 407 Cernon St. In Vacaville, off Merchant St. The Quackcyclists & The Knoxville Fall Classic Double Century reserve the right to refuse entry to anyone, to remove riders from the course for reasons of their own safety, for the safety of other riders, for obvious & flagrant violation of the course rules or the California Vehicle code, or for the general well-being of the rider, the ride, other riders, or the Quackcyclists.